Blackberry Curve 9630 Smartphone Features and Review. Research in motion (RIM) has recently launched its new 3G smartphone under the Curve series. After its success of Blackberry Playbook, now it’s increasing its focus on its original smartphone market so it has launched this smartphone with more features than in some of its previous phones in the same Blackberry Curve category. Let’s have a look on some of the important features of Blackberry curve 9630. First of all talking about its processor, blackberry curve 9630 runs on 800 MHz processor with a memory speed of 512 MB RAM. Curve 9630 is provided with 512 MB of internal storage memory only for storing the applications that will be used by the smartphone. But the users of this smartphone can use their own SD cards since the external memory storage of this phone is expandable up to 32 GB, which is quite good when a smartphone is being considered. The display of Blackberry Curve 9630 is about 2.44 inches LCD screen and has a screen resolution of 480 x 360 pixels with 246 ppi. Let us look on the specifications of the network connectivity capability of Blackberry Curve 9630. Well as earlier said in my first line, this phone supports 3G network with 7.2 HSDPA. It supports Quad Band 850/900/1800/1900/ MHZ GSM/GPRS and EDGE networks. For UMTS network, it is supported for Tri-Band UMTS network (800/850) /1900 /2100 MHz or 900/1700/2100 MHz. This smartphone can also be used in the range of wifi hotspots with its inbuilt 802.11 b/g/n enabled wifi adapters and data transfers can be done using its 2.1+ EDR Bluetooth. This phone is really going to help the frequent travellers with its Integrated GPS with A-GPS. Talking about its media features, this phone contains a 5 Mega Pixel camera with flash for still photos and a VGA camera for video recording. Blackberry Curve 9630 Camera is capable of providing many interesting features like Face Detection, Geo-tagging, image stabilization etc. But one most important thing that you must know is that though this phone seems a 3G phone, but you may not be able to make Video Calls easily since it do not have any front camera in it. The battery of blackberry curve 9630 is of Lithium Ion Cell which can provide a talk time of up to 5 hours. It can provide a standby time of up to 14 days under GSM network. If you are using the applications, then it can withstand 25 hours of music and 6 hours video playback on the earphones or headphones. In case you are using the speakers of the phone, then surely the battery will discharge faster. 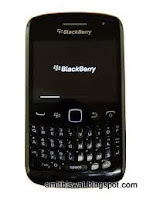 Well Blackberry Curve 9630 is priced at Rs 19,990 in India. So after an overall lookup onto this phone I can conclude that this phone is having every feature an average smartphone is equipped with. But if video calling is the feature that you badly want in your phone, then this phone may not suit your requirement, otherwise it can be considered quite good option. For more tips on smartphone you can consider reading “things to consider before buying a smartphone”. i just got a new blackerry curve 9630 from Egypt and the battery dies in a half a day! without phone calls! this is my secondary phone i barely use it, i dont run a lot of applications and i always close on exit.. is this normal? I have the BB 9630 and my battery drains in about 12 hours but faster if I text and BBM , but then again I'm a teenager and the keyboard is starting to make a weird noise :/ like the keys are wearing out I've had it like two weeks !